Reservoir storage in California is now about 2.5 million acre-feet (3.08billion cubic meters) below historical averages for this time of year. (This is 0.8 million acre-feet – 987 million cubic meters – better than two months ago.) 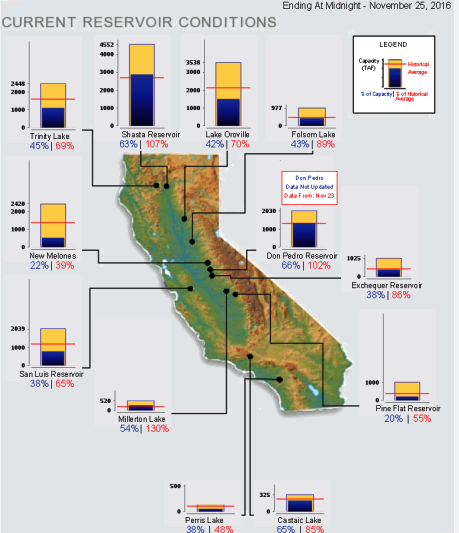 Some major reservoirs are below average, particularly Oroville, Trinity, San Luis, New Melones and the Tulare Basin. Cachuma Reservoir near Santa Barbara is in the worst shape at 7 percent of capacity or 10 percent of average storage for this time of year. 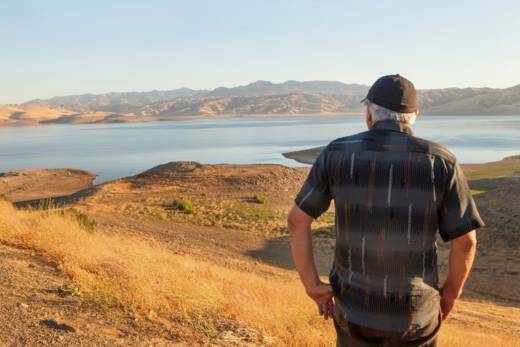 This story first appeared on California Water Blog, a publication of the UCDavis Center for Watershed Sciences. Jay Lund is Director of the UC Davis Center for Watershed Sciences and Professor of Civil and Environmental Engineering at UC Davis. This article was republished on Water Deeply, and you can find it here. For important news about the California drought, you can sign up to the Water Deeply email list.